When a group of U.S. soybean farmers stepped off a plane in China last month, they anticipated a celebration of 30 years of partnership. What they got, however, was a whole lot more. The work of the soy checkoff through the United Soybean Board (USB) and its international marketing arm, the U.S. 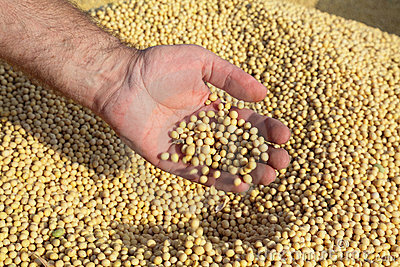 Soybean Export Council (USSEC), has paid dividends in China and the officials wanted to make sure these farmers knew it. Through checkoff-funded demonstrations, USSEC helps show the Chinese aquaculture industry how to lessen disease and pollution in their production systems. Soy-based diets play a role in these improved practices. As the Chinese increase their protein consumption, soy meal use in animal feed continues to increase. Kummer notes the checkoff also works in other animal sectors, including China’s fast-growing poultry sector.